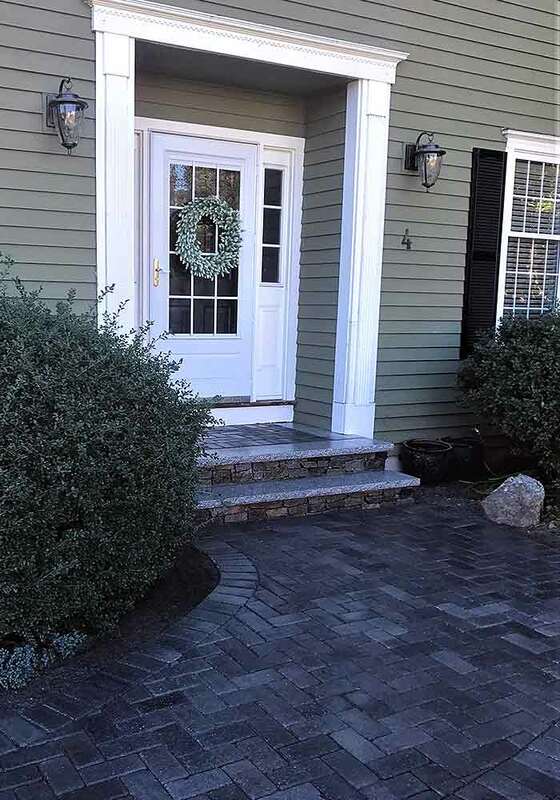 Whether a pathway winding through your front yard, steps leading to your door, or a combination of both, creating a unique entryway that enhances the features of your home will get everyone talking as they meander toward the door. With a myriad of options to choose from in terms of material, size, design, and much more—the limit is your imagination! A custom walkway offers the opportunity to greet and impress people who walk up to your door before you even meet them. What better way to show off the features of your home than with a distinctly designed entryway leading to your door? Perhaps it flows through the natural landscape of your front yard, or maybe it accompanies the symmetrical aesthetic of your home; in the end, it is all up to you. No one knows your home better than yourself, so by creating your own unique path, you can choose to complement your property’s style and design. Courtyard Concepts can bring your vision to life while improving your home’s functionality and curb appeal! 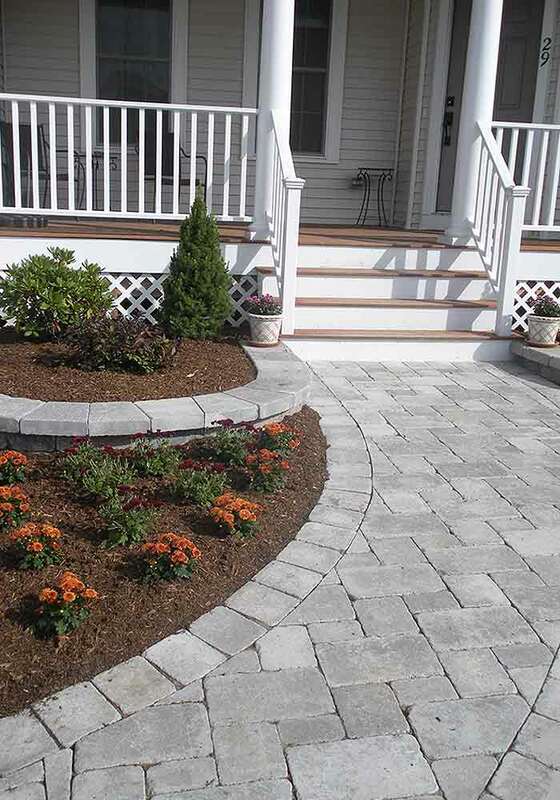 For a simple entryway and elegant addition to your home, perhaps the easiest option is interlocking pavers. A distinctive pattern will portray luxury that lures looks from across the street. 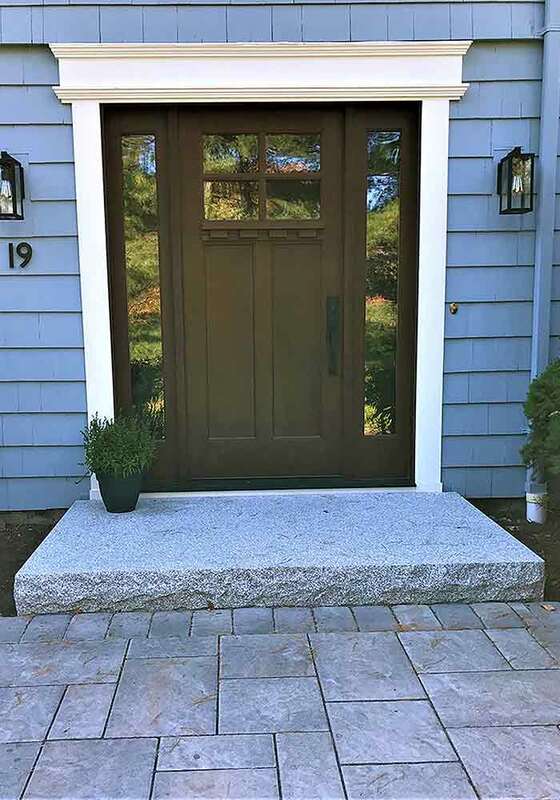 To accent your current landscape or provide easy access to places in your yard, you may consider a natural stone entryway. 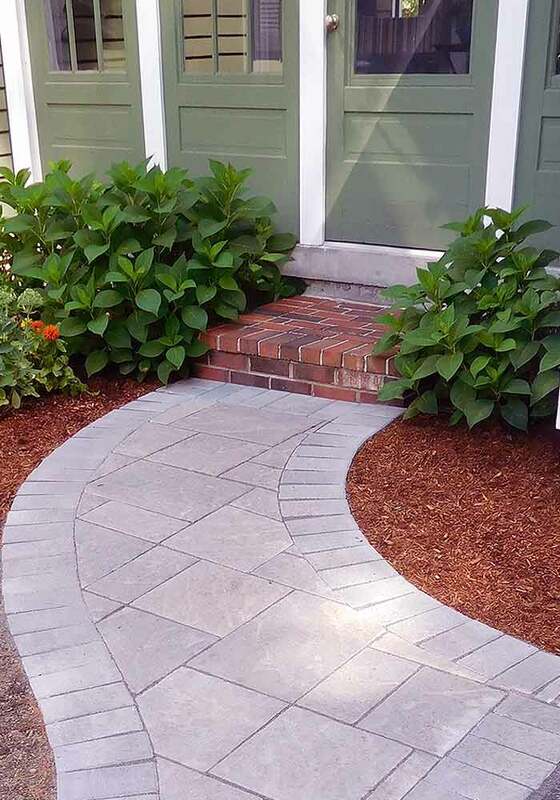 Flagstone or bluestone will flawlessly blend with natural elements for a tranquil route to your door, around the side of the house, or to the back patio. You may be pleasantly surprised to see how the simplicity of a walkway can add so much character and charm to the entryway of your home. An important characteristic of our pavers and natural stone is that they are resilient on all ends, meaning that even salt, frost, temperature, and age will not deter the appeal and functionality of this path all year long. Courtyard Concepts is committed to shaping your ideas into reality and cultivating a positive experience from start to finish. Our outstanding customer service and years of hardscape installation knowledge set us apart from the rest. With your vision and our expertise, we strive to make sure your project is stress free, affordable, and provides beneficial visual enhancement to your home. During our complimentary initial consultation we will discuss your ideas, goals, budget, and finding the best solutions to improve the aesthetic and functional value of your property. Our craftmanship and carefully selected materials coupled with your imagination will lead you down a path to a better home! Beautiful entryways begin here ~ Contact us for a complimentary estimate today!